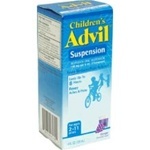 Pfizer Advil Suspension Childrens Grape Liquid Flavor - 4 Oz. Pfizer Anbesol Maximum Strength Gel - 0.33 Oz. Pfizer Anbesol Regular Strength Mouth Pain Gel - 0.33 Oz. Pfizer Anbesol Regular Strength Mouth Pain Liquid - 0.41 Oz. Emergen-C Super Orange Drink Mix - 12.12 in. Advil Childrens Concentrated White Grape Flavored - 5 Oz. Childrens Robitussin Cough and Cold Syrup - 4 fl.oz. 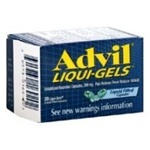 Advil Childrens Suspension Liquid Fruit Flavor - 4 Fl. Oz. Dimetapp Childrens Cold and Allergy Relieve - 4 Oz. Preparation H Maximum Strength Cream - 0.9 Oz. Childrens Dimetapp Cold and Cough - 4 fl. Oz. Robitussin Severe Multi Symptom Cough Cold and Flu - 4 Fl.oz. Robitussin Multi Symptom Cough Cold and Flu Night Time - 4 Fl.oz. ChapStick Regular Blister Card - 0.15 Oz. ChapStick Cherry Blister Card - 0.15 Oz. ChapStick Cherry Refill Tray - 0.15 Oz. Chapstick Strawberry Blister Card - 0.15 Oz. Chapstick Medicated Blister Card Tray - 0.15 Oz. ChapStick Lip Moist. Regular Blister Card Tray - 0.15 Oz. ChapStick Lip Moist. Regular Refill Tray - 0.15 Oz. Cough and Chest Congestion DM Syrup - 4 fl. Oz.